Discount Magic - Professional Light-Pair Set(Green). 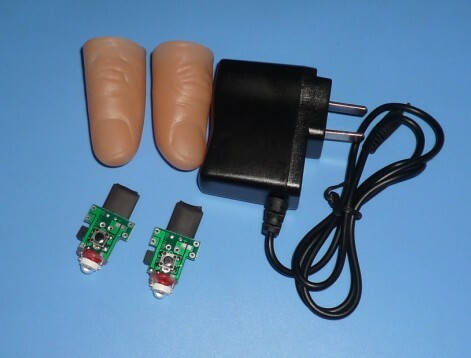 What you receive: It comes complete with a charger (USB not mains powered) , 2 thumb tip light devices(white), 2 thumb tips and instruction. Professional Light-Pair Set(Green) The MOST powerful Light at the fingertips you've ever seen!